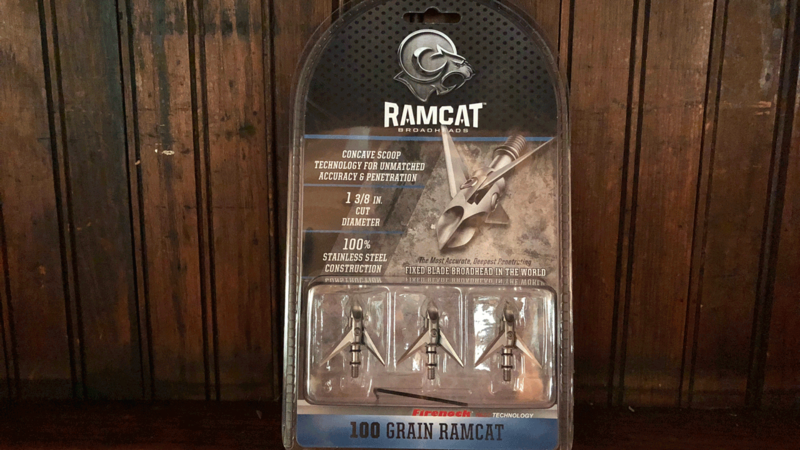 I recently had the chance to check out and test the Ramcat Hydroshock 100 grain broadheads to see how they perform, both on the broadhead target and in the deer woods. It’s a nasty looking head, but I was a bit skeptical as to how it would fly being that it’s so uniquely different than the traditional fixed blade heads on the market these days. Up front, the heads feature a tip with Concave Scoop Technology, a design that was engineered for greater accuracy and penetration. The design of this head includes 100% stainless steel construction, so it’s solid to the core. It boasts a nice, wide 1 3/8″ cutting diameter, so it’s wider than most other fixed blade broadheads out there. The company goes so far as to say it’s the most accurate and deepest penetrating fixed blade on the market. And that’s quite a claim. But is it legit? Can this unique head actually perform? How does it work? The design of this head incorporates a proven aircraft technology that allows it to fly like a field point, regardless of the bow, and no matter the speed. The patented Airfoil System creates field point accuracy while Firenock Aero Concentric Technology eliminates thread slip. The broadhead also features Back-Cut Technology with both front and rear sharpened blades that do as much damage penetrating a target as it does coming out. So if your arrow doesn’t pass through the animal, it continues to go to work causing damage in any direction it travels. However, from what I’ve seen so far, pass-through’s are the norm with these broadheads. I recently shot two deer on an afternoon sit with the Ramcat Hydroshock broadheads. I experienced a complete pass-through on both of the big does I shot – one at 25 yards, the other at 40 yards. Both arrows zipped through the deer like a hot knife through butter. Penetration doesn’t seem to be a problem for these Ramcat Hydroshock heads. As for accuracy, the heads flew right with my field points when shot at my broadhead target. There was no need for tuning or adjustments, which was a welcomed feature for quick and easy setup. 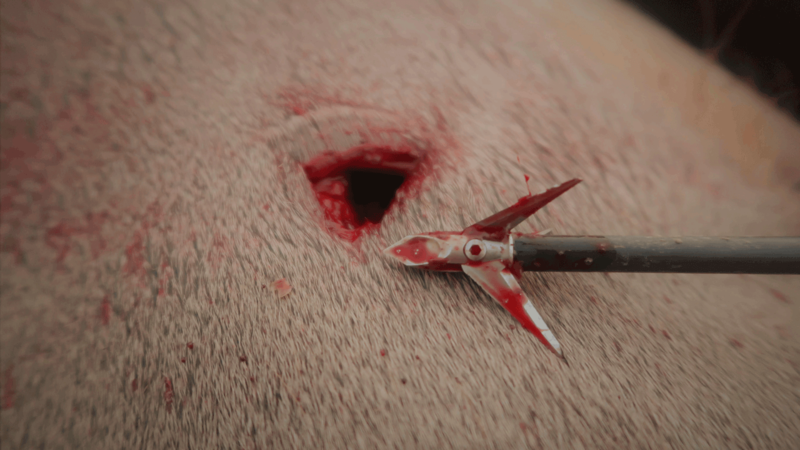 The company’s slogan for their broadheads is, “Hits like a ram, cuts like a cat,” and after testing these heads, I’d say that is a very accurate statement. Original blog article can be found here.